Die-Pat commercial pot wash sink bowls - Left and right hand bowls available in: 760mm x 510mm, Depths: 300mm and 380mm. 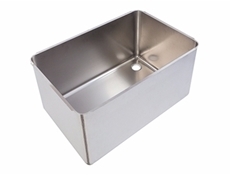 Our pot wash sinks are manufactured in 304 Stainless Steel - Descaled - Flanged. 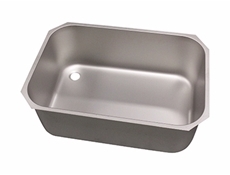 Die-Pat pot wash sink bowls are in stock and available for next day delivery. View all Commercial Sink Units.